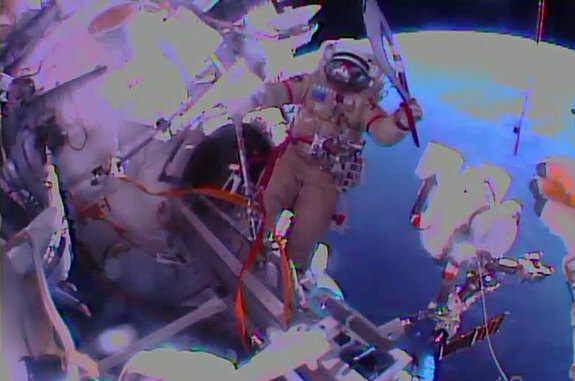 The Olympic Torch was passed between 2 cosmonauts during a space walk outside the International Space Station. This event, and the video, photos and articles that recorded it, raise many questions about representation and marketing. Why is this event more newsworthy than other daily activities on the space station? Why might the cosmonauts have been told to pass the torch during a space walk rather than inside the space station? How does the torch’s passing in space help to promote the Solchi Olympics? How does the torch’s passing in space help to promote the space program? How does the torch’s passing in space help to promote Russia? How does the torch’s passing in space help to promote Vladimir Putin? Who else does the torch’s passing in space help to promote? There are many copies of the torch, but this one will be returned to earth and used to light the Olympic flame at the beginning of the Olympics. Why might the organizers use this specific copy of the torch to light the Olympic flame? Who might the organizers choose to hold the torch when it lights the Olympic flame? Why? What OTHER items might cosmonauts be told to display during space walks? Could product placement become a valuable way to subsidize space station activities?